Weapon: The name of the weapon. Note that in the case of some guns the actual name of the gun is not included, they are simply divided up into type and caliber. Example: Revolvers. While there are many types of 45 Cal. or 9 mm revolvers, they are all pretty much alike, so we have not bothered to give specific names. Opt. : On many melee weapons optional details for the weapons are included. These are secondary ways the weapons might be used in combat. The first listing for the weapon is the primary combat application, the secondary listings are less efficient, but possible. The fighter may wish to use another application due to armor the opponent has on, the fighter may wish to resort to flatsides, etc. The game referee may, if she or he so wishes, choose to disallow the use of these statistics completely. Speed Class: This is the usual amount of time that must be spent for normal use of the weapon in combat. This does NOT include the amount of time that must be spent to reload the weapon between shots (see "Reload Class") or the amount of time that must pass in drawing the weapon (see "Draw Time"). Draw Time: This is the Speed Class of the action of drawing this particular item. Assumes that the character knows the location of the item on his or her person and does not have to search for it. Damage Type: This is the type of damage done to the victim. This is only important where armor is present; if the target is unarmored this info is irrelevant. Damage: This is the number and type of dice used to determine the amount of hit point damage inflicted upon a target by the item. In the case of double-barreled shotguns (whippets included) the amount of damage shown is per barrel fired. Reduce the amount damage dealt by shotguns 1D10 for every 50% of the effective range of the shotgun being used that the shot must travel to reach the target. Skill Required: This is the skill involved in using the particular item. Some abbreviations are used under the "skill required" columns. Those abbreviations are-- HTH (Hand-to-Hand), 1HW (One-handed Weapon), 2HW (Two-handed Weapon), ThW (Thrown Weapons), Arch (Archery), Cbow (Crossbow), 1HG (One-handed Guns), 2HG (Two-handed Guns), HvG (Heavy Guns), Rkt (Rocketry), Gnr (Gunner), and Arty (Artillerist). Weapon Bonus. This is the bonus applied to the particular melee weapon's chance of striking or parrying. Tech Lev. : This is the technological level in which the item comes into use. In some cases the actual year in which the item came into use on Earth has been included after the "/". Effec. Range (Yards): This is the effective range of the missile weapon in Yards. Reload Class: This refers to the speed class of the action of reloading the weapon. The letter in parentheses refers to the type of reloading used for the weapon. (S) means the weapon is reloaded one round at a time. (M) means the rounds are contained in a magazine which is reloaded with the reload action. (B) means the rounds are contained in a belt. (C) means the rounds come from a charged battery. The reload class for double-barreled shotguns is the amount of time to load BOTH barrels. When a number appears before the speed class (5X, 3X, etc.) the number is the number of actions of that class that must performed in order to achieve the desired result. A character with an agility of 10 would require a total of 20 segments to reload an item with a reload class of 2X. Basic Load: This is the normal amount of rounds (or charges) carried in the weapon when it has been fully loaded. Belt fed weapons do not have an upper limit on the basic load. It is merely the number of rounds in the belt. Electrical Mace: A large riot control device, similar to a very heavy, very large cattle prod. In addition to doing 2D6 pummeling damage it delivers a powerful jolt to the victim, causing a save vs. will or the victim is stunned. After a jolt has been delivered ten segments are required for another jolt to charge. Energy Knife, Energy Sabre, and Energy Blade: These are different forms of the same device. A shimmering plane of force extends from the hilt at the touch of a switch. This force plane is able to separate matter at the molecular level. Therefore, it cuts anything. The greatest technical difficulty lies in lengthening the blades. Due to the energy required, there is no way to maintain a blade of longer than a few feet. All energy blades ignore armor. Ignore also strength bonuses. Energy blades cannot penetrate energy fields, including force fields and other energy blades. 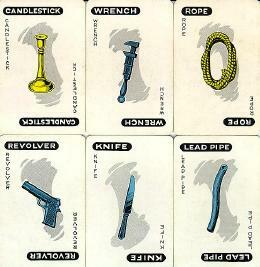 Damages--Knife, 3D10; Sabre, 4D10; Blade, 6 D10. Whistle Grenades: These emit an ultrasonic whistle which causes all creatures within a 20 meter radius to save vs. will or be stunned. Sonic Bolo: This weapon is thrown like a normal bolo. However, unless it succeeds in entangling its target it does nothing. If the entanglement is successful the sonic bolo will begin to set up vibrations which do 1 hit point per segment to the entangled victim. Ignores armor. Grenade Bolo: One way to ensure that your opponent is in the kill area of a grenade. Not re-usable. Lasso: The famed cowboy weapon. Successful percentage means the loop has landed on the opponent. Roll for body part tangled. Critical means the thrower chooses how the target is caught. * Arabic Numerals indicate the number of SEGMENTS that must pass in order to aim and fire the weapon again. No amount of agility allows a character to more quickly wield an 88mm tank gun. ** Numbers refer to distances in atmospheric conditions. In space multiply effective range by 20. This assumes the use of aiming computers. The following weapons are indirect fire weapons. That is to say that they do not fire their rounds directly at a target but through an arc, causing the round to drop upon the target. With the exception of catapults, a successful hit means that the round has fallen so that the target is within the kill radius of the round. In the case of catapults a successful hit means that the round has hit the target. When a spotter is used the spotter's percentage should be used to determine the hit first. Then the artillerist's percentage should be rolled against. It is suggested that the optional rules for missile fire be used with artillery, as they can be very useful for determining exactly where the artillery round falls.